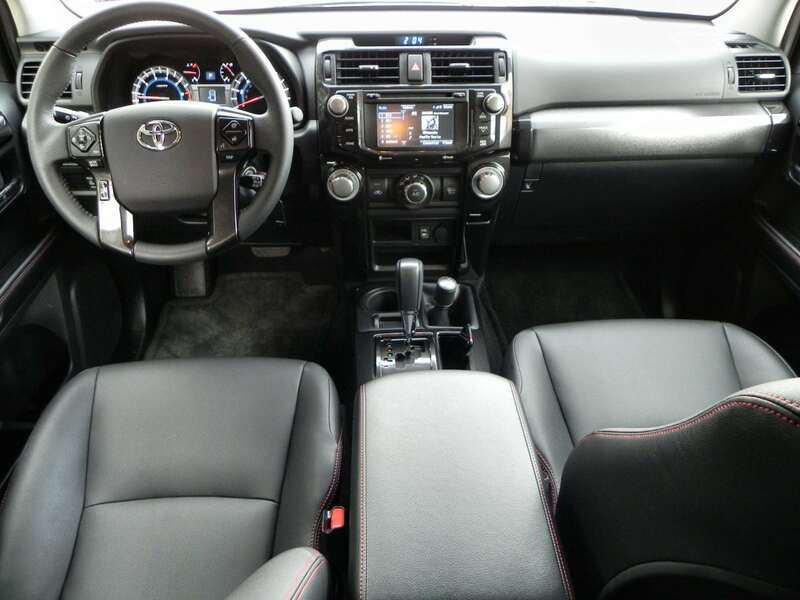 The Toyota 4Runner Trail edition is the offroad-ready option for the 4Runner sport utility model and it includes some really great capabilities. 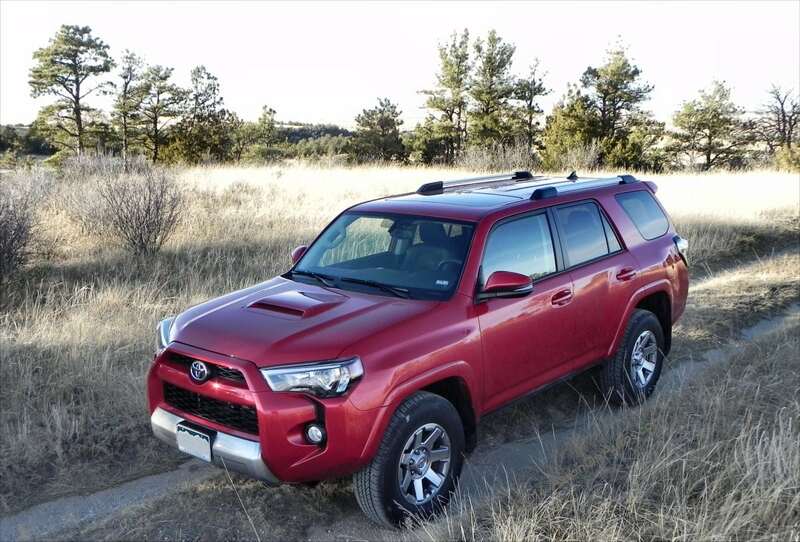 For those who want a good mix of extreme offroad capability and daily driver “get the kids to school” versatility, the 2015 Toyota 4Runner Trail has you covered. Base Model As Tested: Trail Premium w/ opts. 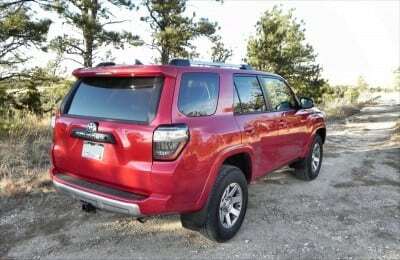 When we drove the 2014 4Runner Trail, we loved its off-the-path capability and robust build. While a few daily-use details were annoying, the truck overall proved to be a great trail blazer and family hauler. Little has changed in the rig with the new 2015 4Runner Trail having all the same capability and most of the same nuances. 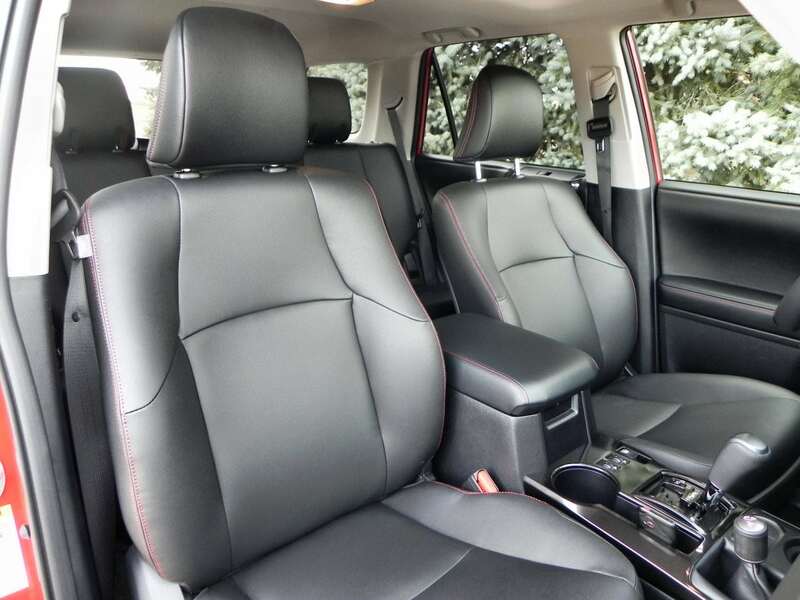 This year, we had an almost exact copy of the 2014 model we drove last year, but since we had little to fault in the 2014, we were happy to see that not much changed. 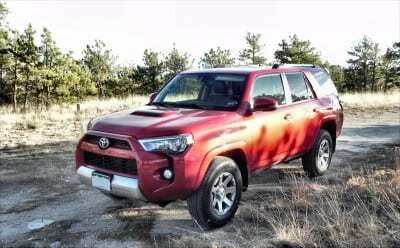 The 4Runner Trail is finding itself marketing to a more limited audience as Toyota muddies the offroad lineup with the TRD packages, but this may be the last year we’ll see the 4Runner Trail in its current rendition. The 4Runner model shares a platform with the Toyota Tacoma pickup truck and that truck was just unveiled as an all-new model for 2016 at the North American International Auto Show in Detroit. 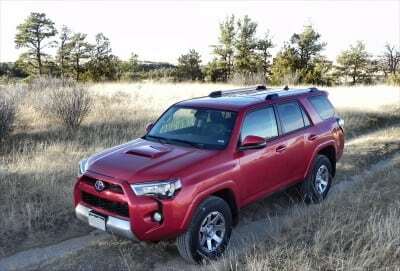 Given that, we can assume that the 4Runner will soon unveil as a new 2016 model as well. As it is, though, the 2015 4Runner Trail is a great weekend offroad machine with the capability to also be the daily family hauler during the week. 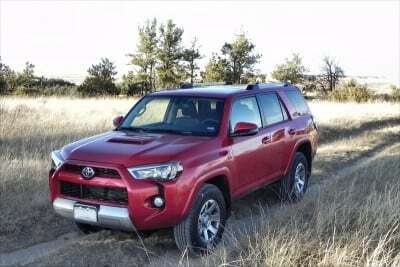 The basic body style for the 4Runner hasn’t changed much since the SUV’s introduction a couple of decades ago. Today’s 4Runner is more sophisticated, bigger, and beefier than its early-generation counterparts. The front grille and fascia of the Trail edition make it clear that this is an offroader, with a high approach angle, heavy skid plate, and heavy set shoulders. 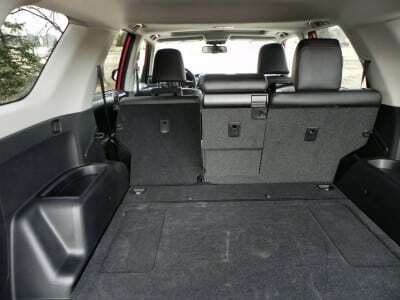 The body is rather plain, but functional and the rear hatch is meant to convey a sporty nature, with a large spoiler at top and raked pillars below. 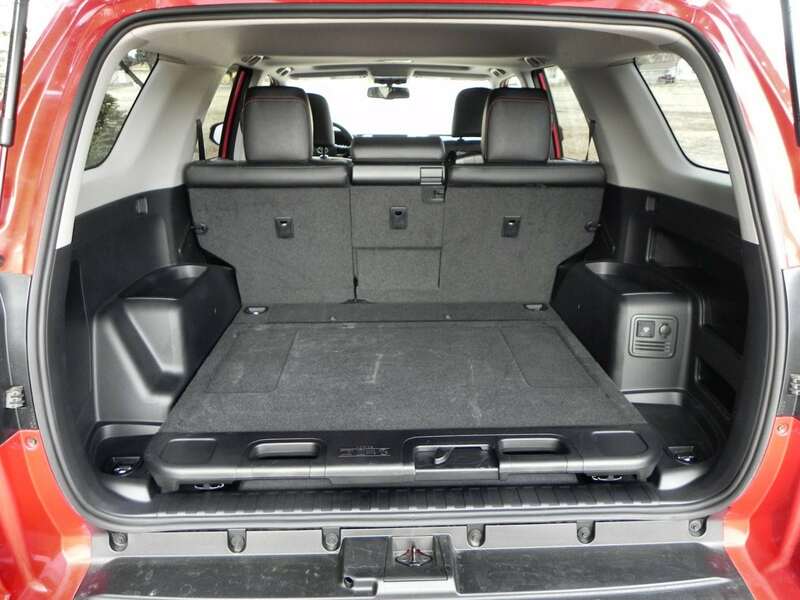 The “box on wheels” cannot be hidden, but is also what gives the 4Runner so much versatility and family hauling credibility. The heavy tires and bulky fender work make sure that no one loses sight of the offroad prowess the 4Runner Trail promises. 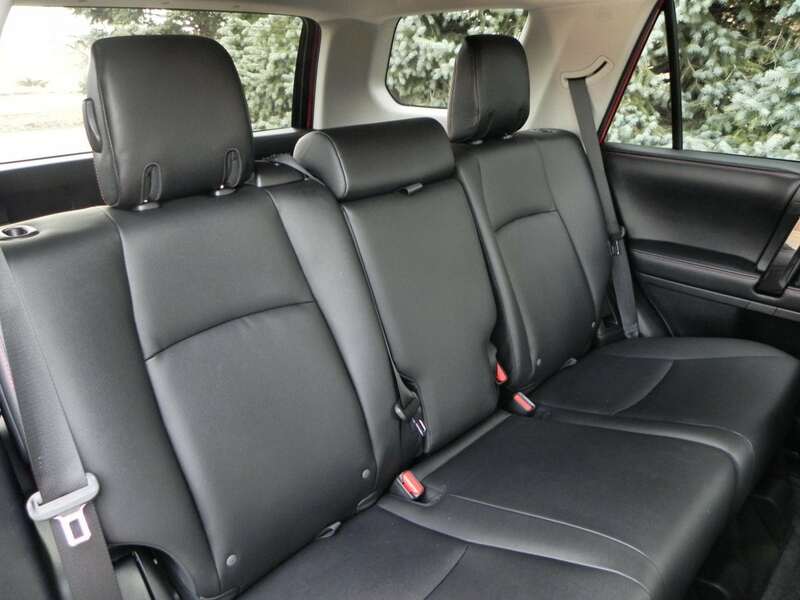 The interior of the 4Runner Trail conveys an immediate sense of durability and quality. Some of the control placement, notably the window controls high on the sash, is a bit clunky, but most are well-done and nicely-placed. Seating and materials quality is excellent. 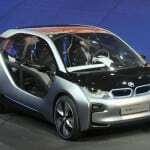 The center-mounted touch screen is useful, but requires the driver to lean forward a bit to access it. 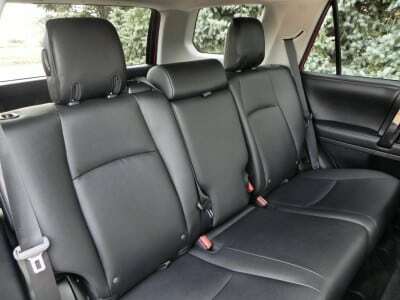 Standard five-person seating is nicely arranged and very comfortable. 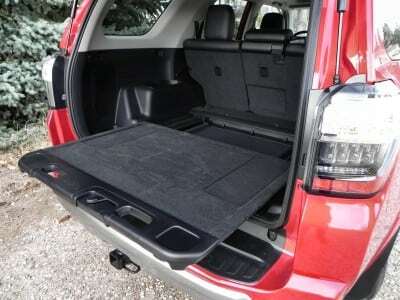 Some may find it to be a bit too functional and not as plush as they may like, but the 4Runner Trail is geared towards durability and usability, not aesthetics. 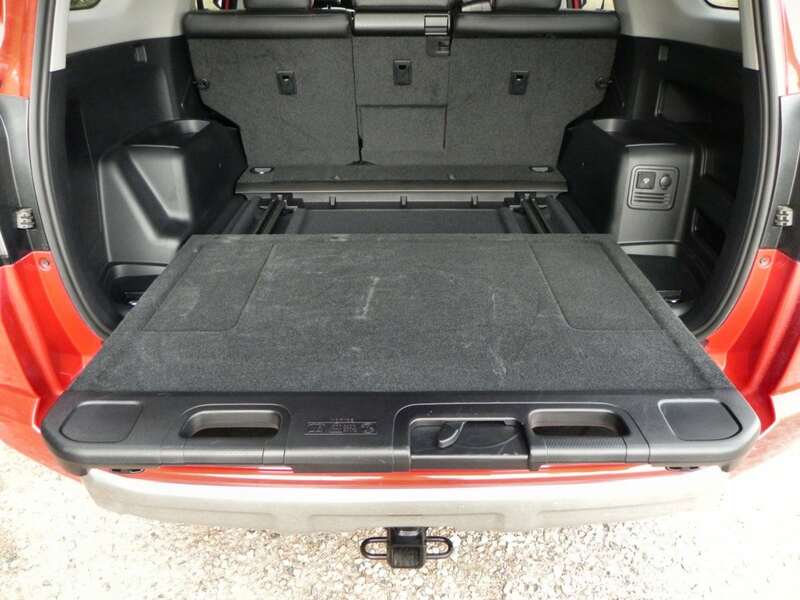 The Trail does not have a third-row option for the back, but the cargo area can have an optional “party tray” that holds over 400 pounds and slides outward when the hatch is open. This makes for great tailgating, camping, and such. A nice accessory. Finally, doors open widely to allow easy access and seating is adjustable, for the most part. It should be noted that the second row does not fold down flat in the Premium trim with its more plush seating. 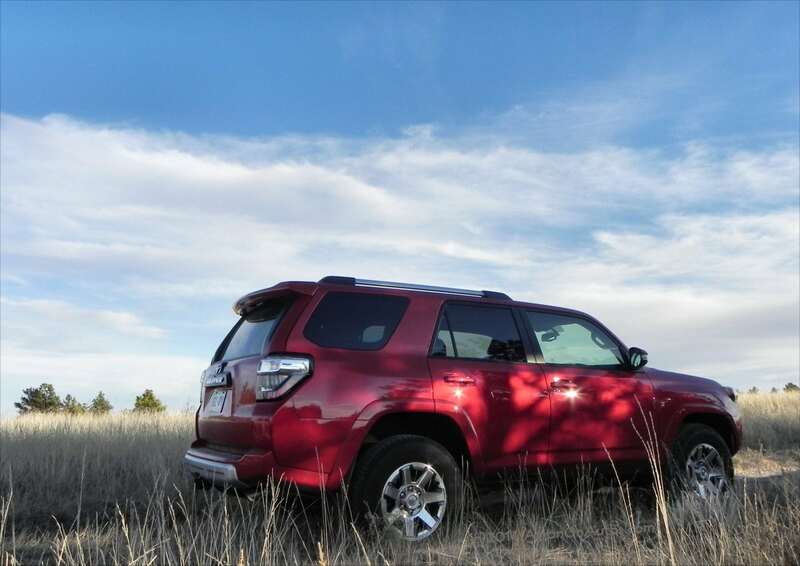 As with all 4Runner models, the Trail employs the well-developed and popular 4.0-liter V6 engine that’s been in the 4Runner for years. This engine produces 270 horsepower and 278 lb-ft of torque. 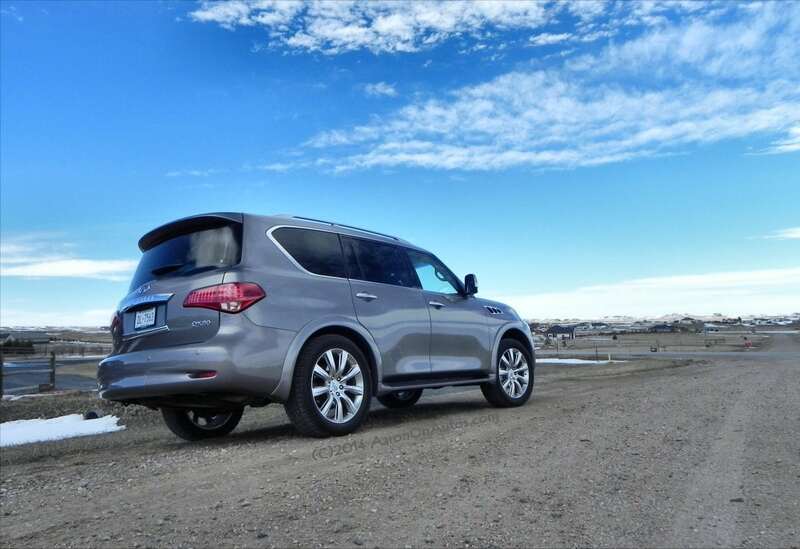 The Trail is four-wheel-drive only with a shiftable two-wheel drive (rear) mode. 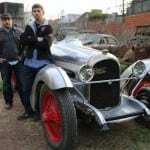 A five-speed automatic is the only transmission option. The Trail also has a locking rear differential, crawl control, and selectable terrain modes. 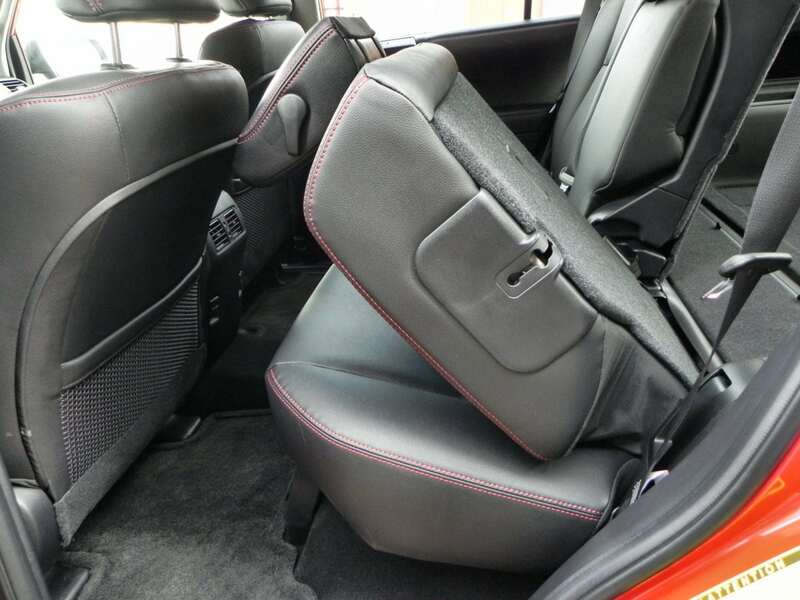 Our model also included the optional Kinetic Dynamic Suspension System (KDSS) which unlocks the stabilizer bars at low speeds to give more articulation to the suspension. 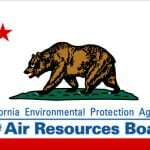 The EPA rates the 4Runner Trail at 19 mpg combined, 17 in the city and 22 on the highway. Our real-world driving in the Trail saw less than that, but we were very offroad-centric in our habits. 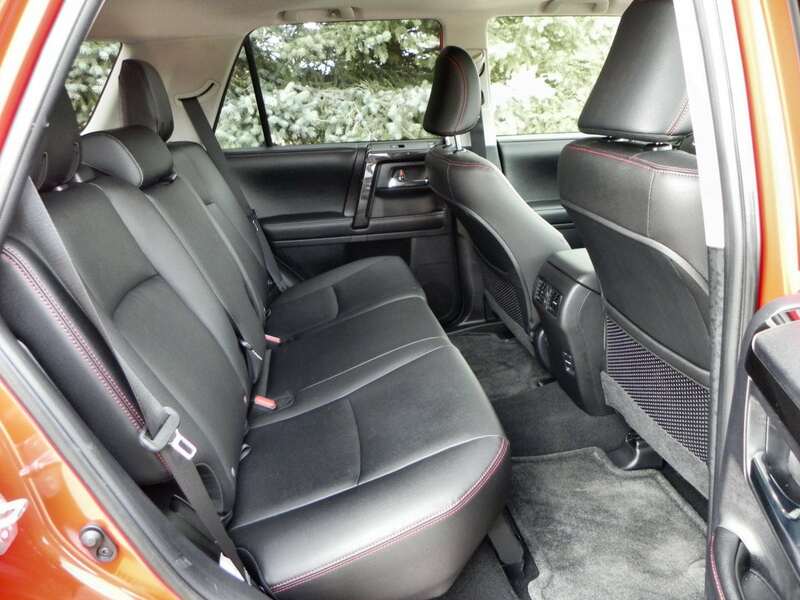 The road is a secondary concern to the 4Runner Trail edition. 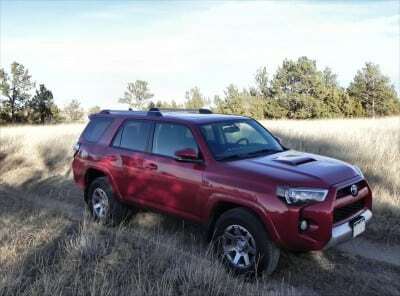 It can drive over the pavement and get you there through thick and thin, of course, and feels confident doing so, but the on-road presence of the 2015 4Runner is only “OK” and not “good” or “great.” In the Trail, this is emphasized further as the heavier offroad underpinnings take their toll on road comfort. 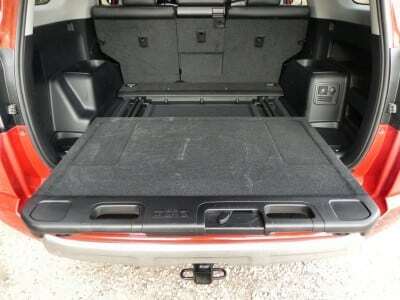 It’s usable, of course, but not as comfortable as a car-based option would be. 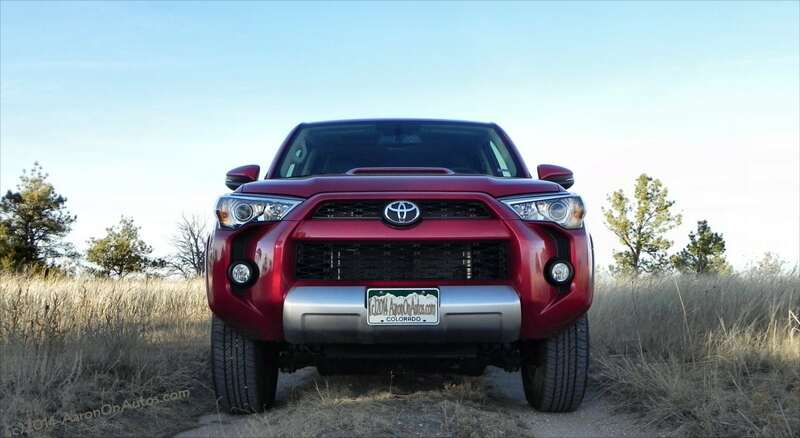 Off the road, though, things heat up in the 4Runner Trail. It’s one of the most capable offroaders you can buy, especially with the KDSS option installed. 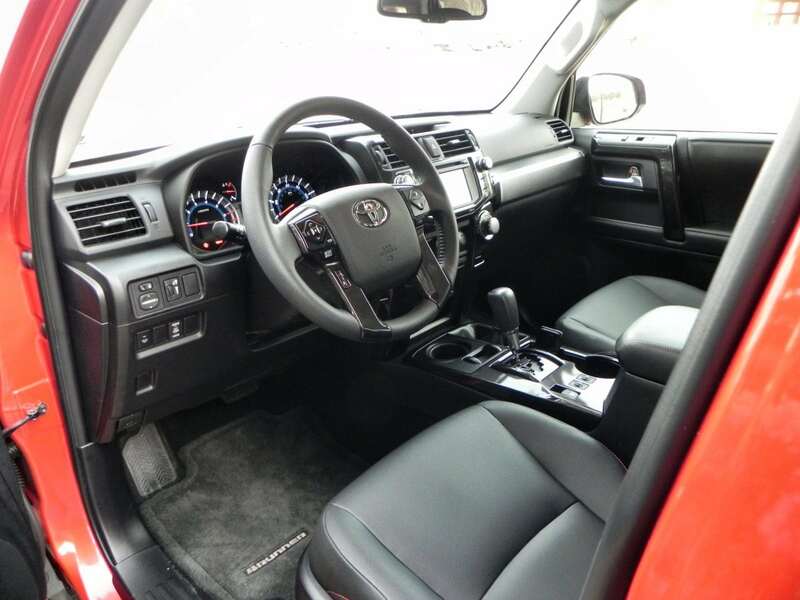 The Trail will traverse just about any terrain you wish to conquer and has a powerful enough engine to make it happen. It has its limits, of course, but outside of a smaller, more dedicated trail buster, it’s as good as it gets. Key competitors in this market are getting hard to come by. 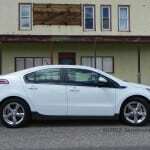 Few sport utilities still exist in the lower and mid-level price range, having been replaced by crossovers in the main. The 4Runner itself is largely being displaced by the Toyota Highlander now, though the Trail edition still has a strong core audience. In capability, the 2015 4Runner Trail is matched by the Jeep Grand Cherokee, the Nissan Xterra, and perhaps the Jeep Wrangler Unlimited. Great offroad rig with plenty of room for you, your friends, your family, and their stuff. Still capable of hauling the family during the week, though that may wear thin. Poor highway presence and fuel economy, both of which should be secondary concerns to someone buying the 4Runner Trail for what it’s meant for. 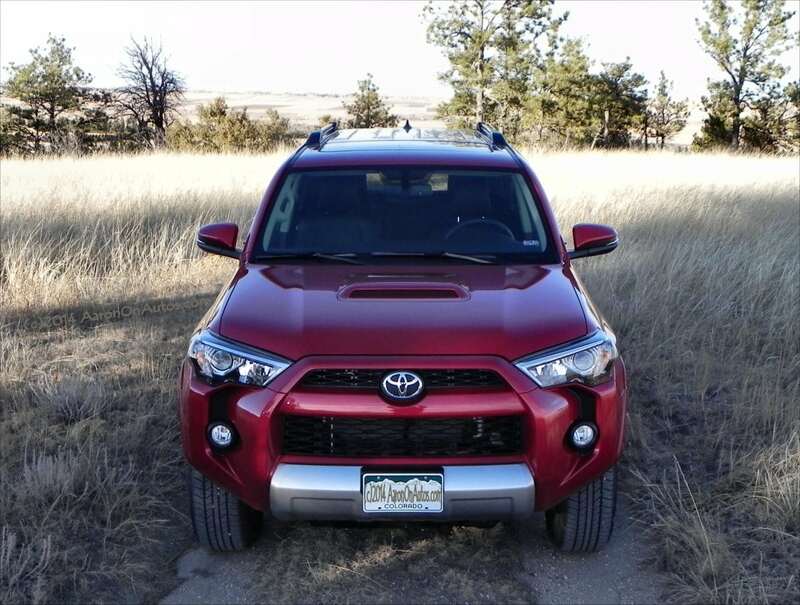 For people who want a great, reliable offroader that can get them wherever they want to go (literally), the 2015 4Runner Trail is a great choice. The fact that it can double as a family hauler during the week or a tailgate party hub at the game is a big bonus. The 4Runner Trail was a manufacturer’s press loan for about a week during which time 114 miles were put on the vehicle. More than half of those were off-road miles, the rest being a mixture of in-town and highway driving.